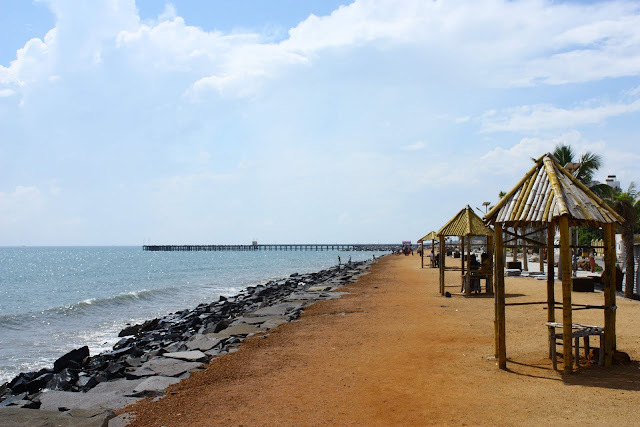 Pondicherry, a city in India with a potent history of French colonialism, is one of the most serene and underrated tourist destinations in the whole of Asia. For a relatively small area, the city is brimming with things for adventurous travellers to see and do. Here are some of the highlights you may be interested in. Paradise Beach is an exceedingly popular spot for visitors to Pondicherry, and after just one visit, you’ll be able to tell exactly why. The venue offers some of the best boating facilities along the Chunnambar river, offering you amazing views of luscious green plantations and a backdrop of sparkling waters. If you ever need somewhere to chill out and take a load off, then this is the place! While simply reclining on the beach and watching the sun go down is an incredible experience in itself, this is just the tip of the iceberg in this part of the city. Here, you’ll find great spots for backwater sailing, hiking, and picnicking. If you love it so much that you don’t want to leave, there are also treehouses that can be rented out for overnight camping! Pondicherry offers a number of fun and fascinating bicycle tours around the French colonial areas and traditional Tamil villages, which will be perfect for you if you always like to soak in the history and culture of a place. Many of these tours start from convenient locations accessible from the many Pondicherry homestays that are so popular with travellers. If bicycles really aren’t your thing, there are also a number of walking tours run by guides who speak English and French. Tours typically cover the Muslim quarter, French and Tamil houses, and a number of fascinating cultural and historical centres. The rich mesh of different cultures that have had an influence in Pondicherry has made it a paradise for foodies. The area has its own unique take on French food, not to mention a range of other European cuisines. As you can imagine, there’s also an abundance of traditional Indian restaurants. Some of the highlights include the Lighthouse; a romantic, rooftop restaurant which is ideal for romantic dinners, Café des Arts, a bohemian French restaurant that’s great for a light lunch, and Kasha ki Asha, which offers a unique blend of local and European cuisine. If you always want food to be a highlight in your travels, Pondicherry won’t disappoint! The Sri Aurobindo Ashram is a spiritual centre that’s known all over India, and other predominantly Dharmic countries. It’s one of the most popular cultural staples in Pondicherry to visit, associated with two of the most prolific spiritual leaders in India over the 20th century. Needless to say, it attracts countless pilgrims and tourists alike every year. Whether you want to attend a group meditation or simply get some stunning pictures of the ashrams’ unique golden orb, visiting Sri Aurobindo is something you certainly won’t forget.